As seen in the B2B magazine! 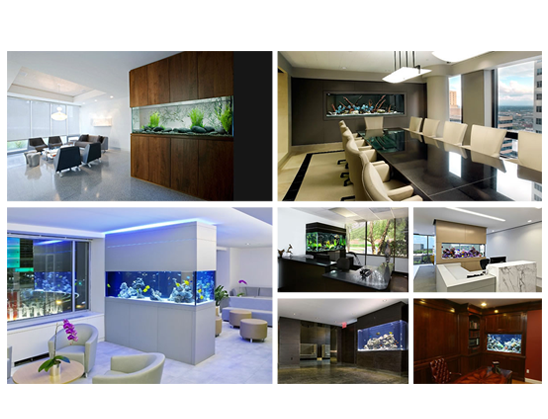 Whether for artistic purposes or otherwise, aquariums have a way of lifting a commercial space. Aquariums are eye catchy, engaging and very soothing. When included as part of the décor in government buildings, they break the monotony of severe official ambiance and make the place seem pleasant and approachable. Clean pools of water or the sound of flowing water too has a very serene effect on the human mind. Combined with colourful fishes gliding smoothly across a coral reef-simulated aquarium, it is one of the best possible ways to create a stress free zone in your offices.